Gordon Reece, who has died aged 76 after a short illness, was an unconventional academic even by the standards of the day. For him role of the University lecturer was not just about the push to publish and add to the research cannon, rather he was passionate about using his position to improve the lives of others. He introduced novel techniques to teach mathematics to engineering undergraduates, championed staff development believing that training leads to better practice, and was an ardent supporter of the individual through his work as an official of the AUT, now UCU. 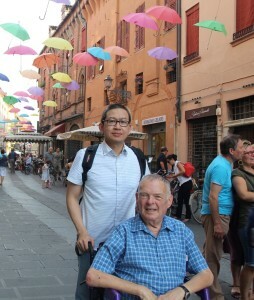 A colourful personality whose academic interests seamlessly blended with everyday life, Gordon was often heard on the radio talking about election forecasting, or predictions of epidemics (especially AIDS), two of his research interests. He was a pioneer of computational fluid dynamics and also mathematical geology, yet developed simple methods of explanation using toys to demonstrate abstract ideas. A master of many languages, he contributed words to the Oxford English Dictionary, reviews and articles (e.g. to the New Humanist), as well as generosity and an unwavering optimistic outlook on life to all around him. Gordon’s parents were Jewish, arriving from Nazi Germany as refugees. They were lucky to escape, his father was at the Dachau concentration camp and many of the relatives died in the holocaust. Newly married, they lived on a kibbutz to equip them for a planned future life in Israel. 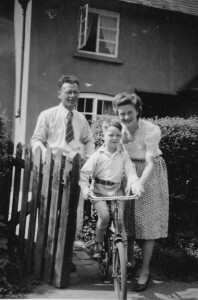 Gordon’s birth changed their plans and the family settled in Worcester. Gordon spoke only German until the age of three, at which point his parents made efforts to speak exclusively in English with their son. Gordon later also became fluent in French, and Hebrew, and could get by in many languages because he made quick connections between related words. Gordon was a lifelong socialist and humanist. He was also proud of his Jewish heritage (although not always the actions of the Israeli Government). He was for many years an active member of the Labour party, realising at one point that he had known every post-war Labour prime minister before Blair (whom he despised, and whose leadership probably convinced him to leave the party). While still an undergraduate he was adopted by his local party branch in Worcester and stood in the 1963 general election as their parliamentary candidate. A trades unionist, he was an active supporter of many national and international causes, not least CND and Amnesty International. Gordon studied Mathematics at Kings College London after which he found work in London and the Home Counties as a teacher and lecturer including at Borough Polytechnic (now South Bank University) and what is now the University of Kingston. Throughout this period he continued with part-time study, leading eventually to the award of an MSc with Distinction. His thesis on ‘The Theory of Measurement in Quantum Mechanics’ was published almost in its entirety. This might seem an unusual foundation for an eventual career in Engineering, but it led to the award of a funded PhD studentship in the Department of Mechanical Engineering at Imperial College, to study computational fluid mechanics, a topic that drew on his lifelong love of computers. For him this was very much a leap into the unknown, especially given that he had a young family to support. The completion of his PhD was mired by his supervisor, Brian Launder, leaving for a position in California. Gordon was required to travel there to take his viva and, never one to miss the opportunity to combine work with travel, took time to explore the USA. He returned with a bemused horror at the lack of healthcare for those unable to pay, and the way that most ordinary people had been brainwashed to regard this situation as desirable. After completing his PhD he moved on to a Research Fellowship in the same department, developing computer-assisted learning for engineering undergraduates. In 1978 Gordon was appointed to the role of Lecturer in the Department of Engineering Mathematics at the University of Bristol, being promoted to Senior Lecturer a decade later. He was one of the first to introduce electronic notes and multi-media presentation to large-class teaching, in an era where chalk and talk prevailed. He will be remembered by generations of Bristol engineering graduates as the mathematics teacher who was the purveyor of Mars bars, employed as a form of subtle bribery to incentivise students to ask questions. A serious and sensible question earned the questioner a Mars bar. Departments of Engineering Mathematics were rare but not unknown in UK Universities in the 1970s. Gordon’s appointment came soon after the launch of a specialist degree programme in the subject at Bristol. For those students he introduced a novel teaching module in computational fluid mechanics using microcomputers, one of the first of its kind anywhere. During the 1980s and 90s every other UK Engineering Mathematics Department was closed or merged either with Mathematics or Engineering. The fact that Bristol’s Engineering Mathematics department thrives today, in both teaching and research, is testament in many ways to Gordon’s teaching, scholarship and citizenship. He was well loved by colleagues from across the Engineering Faculty. A common story emerging is how he was a help and support to younger colleagues, both professionally and personally, for which informal role he sought neither reward nor recognition. In 1989 he took on a part time role as Head of Academic Staff Development at Bristol. It is hard to imagine that what is now a large part of the HR function of any modern University was only that recently seen as something to be managed by a half-time Senior Lecturer supported by a part-time secretary. Gordon was passionate about providing whatever was necessary for his academic colleagues across the University to thrive. 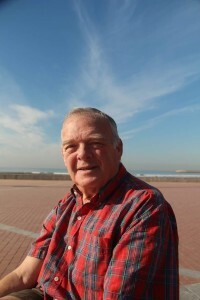 Gordon contributed to University life in other innumerable ways, for example on Senate, Council and as Director of Undergraduate Studies in Engineering. He was a member of so many committees and working parties that he kept on his shelves a row of red plastic briefcases, which he would refer to as his “red boxes”, to carry the papers for each one. Research Foundation, with a connection to Lancaster University. Mim is a teacher of French and German and lives in Bath with her husband Nick and three young sons. Helen became an academic lawyer described as the “best in her generation in family law” latterly at the London School of Economics. She died last year at the age of 48, leaving a husband John and two children. After Gordon took up his post at Bristol, the family bought a house in Berkeley Gloucestershire which was widely used by the local labour party in various elections. Their aesthetic country existence was sadly not to last, ended by Nesta’s premature death from cancer. Lacking the reason to live so far from the city, the family moved to Bristol, eventually buying a house on St Michael’s Hill, just round the corner from the University, which became Gordon’s home for more than 30 years. Many will remember fondly the legendary parties held every year on Gordon’s birthday. These were an opportunity for friends, family and colleagues to catch up, to discuss one of his many interests – in music, literature and the arts – or to put the world to rights late into the night, over all four storeys of the townhouse. He was a bon viveur, a lover of fine food and wine, although never ostentatious. Gordon combined his lifelong interest in computers and politics to become an election forecaster, a practice which he claimed he started in the 1950s. He once explained he thought about the electoral system as an engineer would, seeking to establish the processes that were at work in translating inputs (voting intentions of people in different parliamentary seats) into the eventual output, the composition of parliament. As every engineer knows, once you have some idea of what the process is, you can model it mathematically and then seek data so that you can run the model. He contrasted this with the prevailing method of the `swingometer’ which he saw as being all data and no model – something that failed to produce realistic results as soon as a third political party was on the scene. As input data he often used opinion polls published on the day the election was called, believing that most voters make up their minds before canvassing begins. His predictions were usually more accurate than those of professional pollsters, which led to numerous interviews and coverage in the press. Indeed, he provided election forecasts for the Bristol Evening Post from the 1980s right up to the 2015 general election. For many years at each general election he would broadcast through the night on BBC radio Bristol as the results came in. His family can recall being downhearted after a long night and yet another Tory victory, yet finding an elated Gordon returning from the studio, raising both fists while exclaiming “I got it right!” He never failed to see the bright side of life. After Nesta’s untimely death Gordon sought solace once more in international travel, both alone, and with the girls. He travelled extensively in Europe, and to Israel, China, India, and later especially to Malaysia. Gordon’s style was to travel with nearly zero luggage, using night journeys to sleep, or set his sleeping bag under a hedge. That mode of travel changed in later life, as his mobility became more problematic, but he never lost his wanderlust. During those travels Gordon met Kim Lee and the two entered into a civil partnership in 2006. They were devoted to each other, and as Gordon’s mobility declined, Kim became his full time carer and companion. In 2015 the decision was made to leave Bristol to move to central London, which gave both of them easier access to the varied and cosmopolitan social life they enjoyed. Gordon had the rare accolade of being one of the few individuals to have lost and relearned the power of speech not just once, but three times in his life. As a student, he developed a meningioma that was successfully removed. After surgery he could not speak English, his main language. His father tried German, which Gordon could understand and speak, before English returned. The second time this happened was in 1999 after he suffered a severe brain trauma falling from a chateau wall in Saumur, France. After a number of weeks, he was airlifted to Frenchay hospital in Bristol. It was clear to his friends and family that he understood everything but could say nothing. Speech and languages returned during recovery, although curiously for a long time he forgot the concept of the number seven. The third time was in 2004 when he was hospitalised with Meningitis that left him in a coma for several weeks. Again speech eventually fully returned. Following his return to health from the brain injury he resumed teaching, but found this somewhat troublesome. Instead, he was offered and accepted the role of Bristol University branch secretary of the Association of University Teachers, within which organisation he was already very active. His style was not one of megaphone diplomacy, nor to escalate disputes, but rather to share humanity with whoever felt aggrieved and needed support and to seek amicable resolution wherever possible. He was able to form meaningful working relations with colleagues from all creeds and political persuasions. 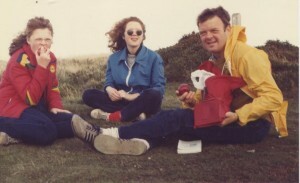 Liz Bird and Steve Wharton, his longtime colleagues within the AUT at Bristol, remember a great friend and comrade who was also a leading light at the social events associated with the national AUT council meetings. In many respects Gordon was a maverick. Not an angry firebrand, but a kind man who lived his beliefs through his tireless efforts to improve the lot of his fellow humans. Despite the many setbacks that life had brought him, he never showed any signs of bitterness or self-pity. His natural generosity and philanthropy touched the lives of almost all he came into contact with. His friends and family will remember his cheeky grin and boyish sense of fun. This stayed with him to the last; as witnessed by his hair-raising exploits on the small electric mobility scooter on which he could be seen navigating the streets of Bristol and latterly London. 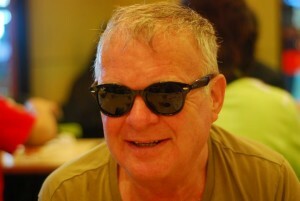 Gordon is survived by Kim, Mim, David, Nick and John and his 6 grandchildren. His funeral will be held at Kensal Green Crematorium, in London at 11.15am on Friday 24th February, and the family have invited all who knew Gordon to join them afterwards at The Mason Arms on the Harrow Road. They have also requested no flowers, but that those who would like to should make a donation to Amnesty International. I will always remember the all night session in the Eng Maths computer room in 1979 inputting the election results on the prime terminal as they came in but it only took a handful of results for Gordons model to predict the final results to an amazing accuracy. It was after that I got hooked on computing which led to my only career. Thanks Gordon May god rest your soul in peace. I knew and so respected Gordon. Sharing humanity is just what he did and did so very very well. I include myself within that group. He definitely gave me a little bit of that at times . Being general secretary of first AUT and now UCU is not always easy . I learnt early the worth of honest committed and wise representatives throughout the union. May I say, I have never met one greater, better,stronger, more caring or compassionate than Gordon. A wonderful trade unionist. A joy of a human being. I celebrate his life. Gordon was my tutor in the Bristiol Eng Maths department 1978-81, the second cohort. I hope people don’t mind me recounting one story. As Dip Tanna above, I well remember the psephologist Gordon designing a forecasting model for the 1979 election. We students practiced our programming skills writing the code for the prediction model on the departmental Prime mini-computer with green screens in BASIC. On the night of the election Dip Tanna, Ed Hasted, I and others stayed up all night in the Queen’s Building. Gordon’s multi-party model – better than the BBC’s and ITV’s one-dimensional swing model at the time – accurately predicted the final outcome after just a few seats reported results. The national media picked up the story a couple of days later. Gordon was delighted to hear he’d been on BBC Radio Bristol by telephone during the night sandwiched between the Rolling Stones and Bob Dylan, though less enamoured by having to de-bug a program crash at one stage – printing off the offending code and retreating to his office to find an erroneous NEXT command. And, although I definitely did not realise it at the time, so was born interest and confidence in data modelling anything, combined with computer systems, driven by Gordon’s intellect, enthusiasm and marketing skills for new ventures. It so happens I’m currently doing some voluntary work on a cross-party project that’s modelling the next general election, now even more complex than 1979. I’m sorry I won’t be able to involve Gordon, but his strong influence and thinking lives on. Thank you to David, Mim and Kim for wonderful words today. When I was a young child, Dad and I bonded over boyish things. 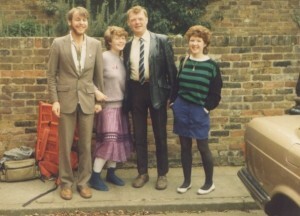 I was a tomboy, never happier than when mending a car or visiting Petticoat Lane with Dad. We were a team, sharing a sense of fun and humour. I had my own little toolkit, that Dad had bought me – not neglecting to point out that he was buying the ‘ladies hammer’ not because I was a girl but because I was small. He was furious with me when I informed him that the electric tester screwdriver was lighting up when I stuck it in the mains socket, thinking that I had forgotten all my teaching until he turned around and realised that calling the electricity board was in order as I had indeed inserted it into the earth hole and this indicated that the whole house live. For some time afterwards, on their instruction we turned taps on and flushed the loo wearing wellies to earth ourselves. When Mum died Dad took on both roles (although heavily supported by my sister Helen). Each year I gave him a mother’s day rather than father’s day card. I never had cause to doubt that, had Nesta survived, they would have remained in the happy, loving marriage that had been cut short after only 14 years. I remember his tears on what would have been their 20th anniversary. As Dad described it at Mum’s funeral – to quote from Shakespeare ‘a heaven on earth, I have won by wooing thee’. When Dad came out as gay we weren’t fazed, having been brought up as accepting and unprejudiced (not tolerant, that implies a level of ‘putting up with’) I reacted by saying “at least that means you won’t try to replace mummy”. Indeed, despite Dad’s many subsequent relationships he never shared the parenting (perhaps partly because his partners, being in the main significantly younger than him were more my friends than parenting figures). In many ways the same could be said for our relationship as I grew older. He confided in me, shared his relationship traumas. In time, Dad became someone with whom I socialised in pubs and clubs. So many of my friends knowing him better than the norm, ours was the house everyone descended on for Saturday night. So many of his friends were part of my life. It strikes me that one of the significant things about today is that this may be the last time I see some of you. Dad was re-living, or perhaps living, his youth in a society now liberal enough to allow him to live it in the way he wished. Liberal to the extreme in his child rearing, Dad’s attitude was that bad news travels so we were allowed complete freedom. I once asked him what he’d do if I got myself arrested, his response “I’d get you a good solicitor”. Having had freedom to socialise as an adult from a young age and so being bored of drinking by the time I got my licence at 17, I was the grown up, able to be, as he referred to me, his chauffeuse (obviously with the correct feminine ending) enabling him to live life to the full. Dad was inexhaustibly positive and resilient. He overcame so many events that would have broken many a lesser man. I am grateful to have inherited this trait. It has stood me in good stead in accompanying him through many of these traumas. My sister Helen would tease me about my Pollyanna attitude to life. Teasing was an integral part of our family life. Dad even managed it when unable to speak. In France, when in hospital unable to speak (in fact unable to use cutlery because he was confused about up and down) after the castle jumping incident, I was trying to reassure Dad that it was likely that he was a little foggy because of the vast quantity of drugs he was on. I described them as soporific. He turned very deliberately toward Helen and enunciated one word, clearly – “Rabbit”. I was confused, still more so when Helen nodded in agreement and said “yeah, I know”. She clarified for me, what they both understood. He was teasing me – making quick connections even in that state – by reminding Helen that I had learnt the word soporific by reading Peter Rabbit. However, Dad’s positivity often erred into the realms of exaggeration. Many was the time he proclaimed that he never suffered from colds (or this was the first time ever), this dish was the most delicious, impossible to say what his favourite film was – each was the best and of course he’d NEVER caused an accident when driving (even those I remember being involved in). Dad was generous to a fault. He was quite able to indulge himself (for example buying a red MGB when his mother died) but equally others and many was the time he checked with me that I didn’t mind if he lent a friend a significant sum of money. Why would I? However, this hadn’t always been the case. We had been brought up frugally, buying our clothes from Oxfam or receiving Clough hand me downs. I remember Dad buying me a brand new coat (the first I’d had) after I had started work as a teacher. He insisted, saying it was a pleasure to buy it for me now that he no longer had to clothe me. We were brought up with Dad’s bargain hunting and bulk buying. He famously bought so many gallon tins of apricot puree (which he brought home with repeated journeys on his pushbike) that despite eating apricot jam, jelly, soup, ice cream to the extent that Helen and I dreamed of it, around 30 gallons moved house with us several years later. I was once tasked with attempting to find any pairs among the 150 assorted boots that were stored in our attic after one of Dad’s bargain purchases. In the early years Dad couldn’t abide waste and was a great believer in mending. I shall never forget the TV set with the volume switch made from a toothpaste tube lid or the yellow torch serving as a starter handle in Fifi, our fiat 500 (this was the cause of the car narrowly missing being pushed into the Thames by the police as a suspected car bomb). Dad later showed his artistic side by painting climbing roses all over the car. For Dad, knowing what was right and proper was important. We were brought up to know the rules of traditional culture, with strict rules about manners – elbows off the table, no hats indoors, no swearing and so forth. We had to know it, so we could choose to reject it. Being well educated was crucial to Dad – an utter grammar pedant. He was thrilled to discover that he was cited in the OED. He believed that David, Helen and I must be extremely elite as we had not just a father but also a grandfather mentioned therein. However, he was sympathetic to those who hadn’t had the benefit of a good education and admiring of autodidacts. He was delighted that at least David shared his love of great music (and has therefore made today’s musical choices). He adored and gave seminars on Maria Callas. Educating others was a delight for Dad. Whether it was over dinner, explaining his world view or as his job. What excited him wasn’t just the research, it was the people and the light bulb moments. He was genuinely interested in his students’ opinions, spending hours designing surveys for their feedback and analysing the results (more often than not the comments section was replete with fashion critiques of his exuberant silk shirt collection). Thus, taking charge of staff training across the university was a perfect role for him. 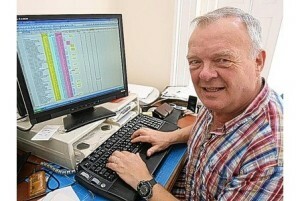 When he first retired through ill-health he returned to work, just to prove he could. In fact, he struggled and for once admitted defeat. He found other ways of enjoying himself. Education wasn’t simply about academic achievement (although of course Dad respected and valued that highly). Our upbringing was highly political. My first gig was at a CND rally. I even attended rallies in my pushchair. I have vivid memories of Greenham women. Our house was the labour party committee rooms and I remember many labour party parties. Dad’s belief in equality meant that he was a staunch unionist. Our family singalongs often featured Pete Seeger’s Union Maid. One famous holiday to France was extended by the Dockers’ strike. Unlike the other holidaymakers who were complaining, we revelled in it and joined the French Dockers picket lines. Dad of course later became a union leader for the AUT although he had discovered the strength of solidarity early on as a 6th former when after an April fool’s joke, they were threatened with expulsion – to a man they claimed responsibility, thus disempowering the school. It is likely Dad would have had a political career had he lived in another era. Dad’s mum found it entertaining that her and his father’s asylum status during the war was ‘friendly alien’. 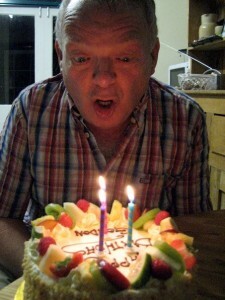 In many ways it describes my non-conformist yet charming father to a tee. He touched the lives of many and will be sorely missed. Thank you Mim, for this lovely eulogy. I remember Gordon and Nesta from my childhood in Wandsworth, and although you were much younger than us, I still remember you all too from the family occasions we spent together. After Nesta’and our father, Stanley’s early deaths , Gordon became a really good friend to my mum Sheila , who took his ‘ coming out ‘ in her stride and enjoyed his company during those years enormously. I’m sorry that I couldn’t come to the funeral due to work commitments in New York . It would have been nice to see you again . I was shocked to realise that Helen died one year ago also. Well, I hope our paths cross again sometime in the furute so we can compare memories ! Thank you Fiona, I have very fond memories of your mother particularly. Those words are lovely Mim. Gordon helped me a great deal with numerous things including proofreading a university project and as time went on we sadly fell out of touch a few years ago. His generosity and kind nature knew no bounds and I’m so grateful for having known him. All the best to you and your family.